Neither the current state nor the future prospects of this evolving order can be understood without an appreciation of its history. Any account of the development of the international monetary system is also necessarily an account of the development of international capital markets. This history of the international monetary system is short in two senses of the word. First, I concentrate on a short period: the century and a half from 1850 to today. Many of the developments I describe have roots in earlier eras, but to draw out their implications I need only consider this relatively short time span. Second, I have sought to write a short book emphasizing thematic material rather than describing international monetary arrangements in exhaustive detail. Given the network-externality characteristic of international monetary arrangements, reforming them is necessarily a collective endeavor. But the multiplicity of countries creates negotiating costs. What was critical for the maintenance of pegged exchange rates, I argue in this book, was protection for governments from pressure to trade exchange rate stability for other goals. Progress in economics is said to take place through a cumulative process in which scholars build on the work of their predecessors. In an age when graduate syllabi contain few references to books and articles written as many as ten years ago, this is too infrequently the case. The international monetary system is the glue that binds national economies together. 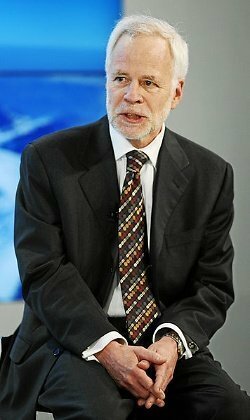 Bio: Barry Eichengreen is an American economist who holds the title of George C. Pardee and Helen N. Pardee Professor of Economics and Political Science at the University of California, Berkeley, where he has taught since 1987.